Two satellite small cells will be installed to improve coverage in the remote area. 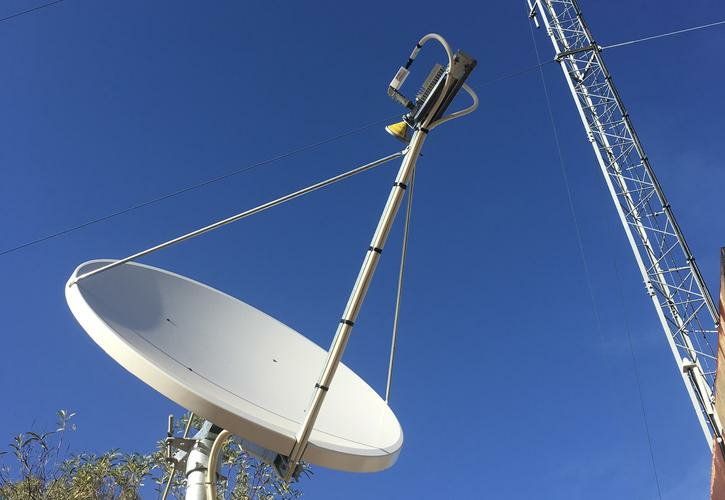 Queensland’s Winton Shire Council has become the first customer for Telstra’s 4GX-lite mobile satellite small cell offering, aimed at helping to extend the telco’s 4GX mobile services in remote areas. A heads of agreement has been established with the council to install two satellite small cells to improve coverage in the remote area. The Telstra 4GX-lite mobile satellite small cell is billed by the telco as a smaller, lower-cost version of a standard mobile base station, and is designed to give customers access to Telstra’s 4GX-lite service including voice calls, text, email, browsing and basic data. However, due to constraints with the satellite backhaul, it can’t support data heavy applications, like high definition video streaming or video calling and conferencing. Telstra group managing director of networks Mike Wright said it has been running satellite cells for many years and conducted trials during the last 12 months at five sites. The telco is aiming to have at least 16 trial sites on air by July and aims to deliver up to 500 satellite small cells over the next three years. “We offer options, such as Yagi antennas and the Telstra Go Repeater, for customers in regional areas looking to extend coverage, but until now there hasn’t been many options for people looking for coverage where none exists nearby,” Wright said. The satellite small cell offering is funded by co-contributions from Telstra and the customer, where the customer pays an initial amount to cover the cost of installation, and Telstra builds and maintains the small cell. “The Telstra 4GX-lite Mobile Satellite Small Cell is a way to bridge the gap between what customers want and what is financially viable. This solution gives consumers, businesses and local councils more control over where they can get mobile coverage, making them part of the decision making process,” Wright said. Winton Shire Council Mayor, Gavin Baskett, added it will be bring coverage to some parts of the Winton shire for the first time and aims to help grow tourism in the area. The satellite small cell initiative also complements the Federal Government’s Mobile Black Spot Program, which has so far seen mobile coverage extended to more than 170,000 square kilometres. Read more Telstra chief mulls cable sabotage possibility: "you never know"